General Motors Chevrolet Cruze has received a mid career facelift in the form of a Station Wagon and it has been launched at the ongoing Geneva Motor Show. The new Chevrolet Cruze Wagon is based on the popular saloon Cruze. The Cruze Wagon could not head to India but will be sold as a popular choice in America and Europe as it has found the best platform for its launch and that is Geneva Motor Show. With the new body styling, the Cruze Station Wagon has also received some design upgrades. The front has a more stylish and wider chin besides new fog lamps assembly and redesigned grille. 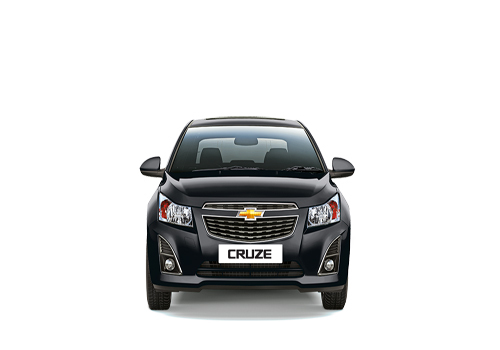 However, the Cruze still preserves the characteristic Chevrolet car appearance. A new razor wire kind of design at the front is also new and give the Cruze new look compared to the earlier generation. The headlamps are now clear lens type with silver reflectors. The American car maker has also put new alloys designed exclusively for the Cruze Station Wagon. The Cruze Wagon is slightly longer than the hatchback and the sedan. The interior of the Cruze too has received a makeover with the seats getting a new design thus enabling the headroom inside to increase considerably. With the change in styling, the Cruze has also become much spacious inside with sufficient room for the rear passengers. A 1.7L VCDi engine outputting 130 bhp will be powering the new Chevrolet car that has made a debut at the Geneva Show. Besides there is also a strong possibility that the Cruze may get a 2L diesel motor outputting 163 bhp to give it the sufficient amount of power and thrust as that is required by a Station Wagon of this stature.